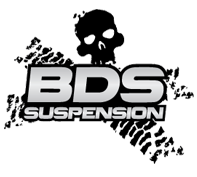 A suspension lift kit raises the suspension of the vehicle by replacing components such as the front and rear leaf springs, torsion bars and shocks. This not only creates greater travel, it can allow for significantly taller tires, improving clearance between axles and the ground. Articulation typically will improve with a good kit. We offer suspension lift kits from 3” to 12” tall allowing for up to 40” tall tires. If you are looking for something not as tall, take a look at our leveling kit section. We recommend: Fabtech, Pro Comp, BDS, Rancho, Maxtrac, Terraflex, Rubicon Express, ZONE Off-Road. CALL FOR PRICING AND AVAILABILITY FOR YOUR APPLICATION!! !